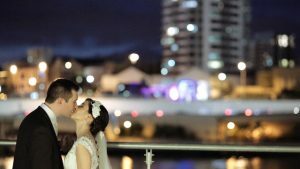 Carla & Patrick’s Wedding Video | St Stephen’s Cathedral | Victoria Park | Brisbane This film was shot with new cameras at the time so it was very much a learning curve for us. I think the Wedding video turned out very nicely even with this working against us. These are examples of our 4-5 min wedding highlight films. They are shorter in length than our Feature films but just as lovely and created using only the best footage captured on the day.